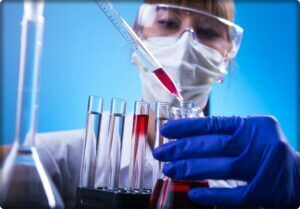 IGeneX Inc is one of the labs that we use to do our testing they specialize in providing personalized service to over 1,000 private practices, hospitals and other other clinical laboratories. What should we know about Diagnosing Lyme Disease Infection? We ask ourselves what is Lyme disease? It is a world-wide infectious disease caused by microscopic bacteria carried by ticks. There are several species of deer tick bites across the US that become infected with the spiral bacterium, Borrelia burgdorferi. Unsuspecting humans and animals walking through woodlands and wooded areas may be bitten by a tick and never know it. Some of the ticks that bite are the size of poppy seeds, may stay on your body for many hours up to days. If infected, the ticks will enlarge themselves with blood. If infected, the bacteria is transmitted to the bloodstream of the person or animal during the bite. How will I suspect exposure? If you suspect any exposure it is important to call a Lyme disease specialist as soon as possible. If you find a tiny tick attached to your skin, if you were in a known tick-infested area, or if you have symptoms described, see your physician. Lyme Disease symptoms common in humans? A characteristic red bulls-eye rash (EM) at the site of the bite is present in less than 40% of patients. The rash from Lyme Disease can appear within days to weeks after the bite, but could be hidden in hairline or underarm area. Some patients report flu-like symptoms; fever, aches, fatigue, neck stiffness, jaw discomfort, muscle pain and stiffness, swollen glands, and red eyes. Symptoms may appear, disappear and reappear at various times. Neurological symptoms of Lyme disease include; memory loss and partial facial paralysis (Bell’s palsy), migratory joint pains, and pains in the tendons, muscles and bones may occur later in the disease. Arthritic symptoms, if present, usually affect the large joints like the knees. Lyme disease is a clinical diagnosis. This means that the physician makes the diagnosis using your clinical history and symptoms. If a physician observes an EM rash, a diagnosis of Lyme disease will be made. If a rash is not seen by a physician, laboratory tests are often needed to help with the diagnosis. Testing ticks for Lyme disease? Not all ticks are infected with the bacteria B. burgdorferi, which causes most cases of Lyme disease cases found. If the tick was saved, it can be tested by our laboratory for the presence of the Lyme bacteria using a test called PCR. We also test ticks for other bacteria strains including; Babesia, Ehrlichia, Bartonella henselae and Rickettsia (Rocky Mountain Spotted Fever). These pathogens are also carried by ticks. A Tick Test Request Form is available on our website. The same tick that carries the bacteria that causes Lyme Disease, can also carry different pathogens. The most common are Babesiosis, Ehrlichiosis, Bartonellosis and Rickettsiosis (Rocky Mountain Spotted fever). It is estimated that up to 25% of the ticks that cause Lyme disease may transmit one or more of these other diseases. Babesiosis is like malaria with the symptoms of acute disease being fever, chills, vomiting and fatigue. It is usually self-limiting except in Lyme patients and those who have undergone splenectomy. Ehrilichiosis may have symptoms of fever, chills, vomiting and fatigue and require prompt antibiotics. Other forms of these diseases may be present in patients with Lyme disease. Some symptoms, such as the EM rash, may appear differently depending on if it was caused by B. burgdorferi or another bacteria strain. With B. burgdorferi, the rash usually appears days or weeks after the tick-bite, whereas rashes caused by other bacteria present in the tick usually show up immediately. Tick in Nymph stage is the size of a poppy seed. – Indirect Tests (immune response to bacteria)– (ELISA, IFA, and Western Blots) The LYME ELISA test measures B. burgdorferi IgM and/or IgG antibodies in patient’s serum (blood) sample. The sensitivity and specificity of these tests is about 70%. The LYME IFA (immunofluorescence assay performed as part of a Lyme Panel) detects IgG, IgM and IgA antibodies against B. burgdorferi. Antibodies to B. burgdorferi are detected about 2-3 weeks after infection and may remain elevated for a long time in some patients. The Lyme Western Blot (IgG and IgM) detect antibodies to B. burgdorferi. In some cases, the testing laboratory may be able to say that your “picture of Lyme antibodies” is consistent with early, late, persistent and/or recurrent disease. Antibodies can be detected within one month of infection (usually IgM) and can be up to 25 years after an initial infection (IgG only; IgG and IgM; or IgM only). About 20% -30% of patients never make antibodies. Some patients with a “normal immune system” may not have made antibodies at the time of testing, thus, the presence of antibodies alone does not make a diagnosis of disease. – Direct Tests (look specifically for B. burgdorferi antigens)- The Lyme Blot Assay detects antigens of Lyme bacteria in urine samples. This test can be performed on urine samples and spinal fluid. The Lyme Mutliplex PCR (Polymerase Chain Reaction) Test, a highly specific and sensitive test, detects the presence of the DNA of the Lyme bacteria. The PCR test is often the only marker that is positive in all stages of Lyme disease. The test can be performed on blood, urine, spinal fluid, and other bodily fluids/tissues. About 30% of the Lyme patients are co-infected with one or more of the following tick-borne pathogens – Babesia, Anaplasma, Ehrlichia, Bartonella or Rickettsia. We offer immunofluorescent assays (IFA) for detection of pathogen specific antibodies in patient serum samples and PCR tests for detection of pathogen specific DNA in blood and cerebral spinal fluid (CSF) samples. In addition, we offer FISH (Fluorescent In Situ Hybridization) tests for direct detection of Babesia and Bartonella on blood smears. Unlike Giemsa staining, these FISH tests are highly specific.